1. What’re the application requirements for studying English-taught MBBS in China? 2. What else can I study in China related with the medical field besides MBBS? 3. Can I do the internship outside of China? In this case, do I need to pay fees to the university in China? 4. Is there a spring admission to MBBS in China’s medical universities? 5. Is Chinese language courses and HSK test compulsory for English- medium MBBS program? 6. What’re the future job prospects in China or in my home country after my graduation? 7. What is the duration of the medical courses in China’s medical schools? 8. Are there entrance exams for MBBS study in China? 9. Why it is easier to get into a medical school in China? 10. What do I need to do to practice my medical degree in South Africa? 11. What are the exact minimum requirements for international students to get into China’s medical school? 12. What is the relationship between SICAS and the medical universities? 13. How much does it cost to apply for an MBBS program? 1. Q: What’re the application requirements for studying English-taught MBBS in China? A: Respective universities may have varying enrollment requirements, usually including educational background, English language proficiency and high school or other college grades, esp. scores in science subjects. Also, some materials are needed such as the photocopy of the applicant’s passport, Health Certificate, etc. In addition, international students are required to pass the HSK test (Chinese language proficiency) before graduation. For more details, please check the information on accredited schools for MBBS. 2. Q: What else can I study in China related with the medical field besides MBBS? 3. Q: Can I do the internship outside of China? In this case, do I need to pay fees to the university in China? A: Normally, medical universities in China require one- year internship in one of the university’s affiliated hospitals. Nevertheless, several of them also allow students to intern outside of China. In the circumstances, overseas students have to submit documents about the hospital beforehand for qualification evaluation by the university. Then, the Chinese teacher will keep in contact with the students through weekly or biweekly e-mail or telephone to offer instruction or suggestion. Therefore, overseas students must pay administration fees to keep your name on the school roll and to gain Chinese teacher’s supervision. In addition, even if foreign students do the internship outside of China, you have to meet requirements of internship according to assessment manual published by respective universities. 4. Q: Is there a spring admission to MBBS in China’s medical universitie? A: Yes. Most medical universities in China only offer admission to MBBS in fall. Nevertheless, there’re a few medical universities such as Shandong University, Dalian Medical University, Hebei Medical University, and Central South University, offering a spring intake and these MBBS programs start during March to April. 5. Q: Is Chinese language courses and HSK test compulsory for English- medium MBBS program? A: The Chinese language course is compulsory for English- medium MBBS program in China’s medical universities, while not all the universities require passing the HSK test at a certain level before graduation. 6. Q: What’re the future job prospects in China or in my home country after my graduation? A: The medical degree conferred by Chinese medical universities is valid across China and even throughout the world. All China’s medical universities which are on the list of the Regular Institutions of Higher Education in China published by the Ministry of Education of P.R.C. (MOE) are recognized by the World Health Organization (WHO) in the “Directory of World Medical Schools”, which makes graduates from those schools qualified to attend board examinations in most countries such as the USMLE in the US, the PLAB in the UK, the MCI Screening test in Indian, PMDC in Pakistan, Mauritius, South Africa, etc. 7. Q: What is the duration of the medical courses in China’s medical schools? A: The medical courses last for about 5 or 6 years according to requirements of respective universities. The 5.5- year medical course include basically 1 Year of pre-medical courses with subjects such as Biology, chemistry, Physics, Calculus, Chinese, etc. and 1.5- year internship which overseas students can choose to do it either in China or in any other countries. A: No need to take an entrance exam when studying medical in China. 9. Q: Why it is easier to get into a medical school in China? A: There are more than 200 medical schools in China, which means more slots are available than in most other countries. Also, most of the medical universities in China who offer medical courses would like to recruit international students because they want to boost their university standards by bringing in students from different countries. A: After having finished your medical degree in China, you need to go back to South Africa and apply for the Health Professionals' Council of South Africa (HPCSA). 11. Q: What are the exact minimum requirements for international students to get into China’s medical school? A: SICAS could most probably get you into the top medical schools in China if you get B’s for Science and Biology. We can also get you into a top school if you have C's. Still we can find a way to get you into a lower- ranked medical school but still internationally recognized if you do have D's, and that's ok too because SICAS will always find ways to help you. A: SICAS is an official representative of these medical universities. As official representative of these universities, we want to help foreign students in application process and more importantly, to help students settle in once they arrive in China. 13. Q: How much does it cost to apply for an MBBS program? A: Each international applicant is required to pay the SICAS Processing Fee (30 U.S. dollars, which covers your application to six programs) as well as the university's application fee (ranging from 60-120 U.S. dollars per program). 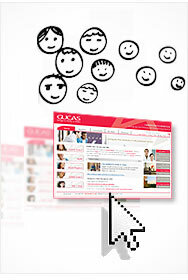 SICAS offers four kinds of payment methods. For more information, please see SICAS Payment Methods.